For v8 rx7 owners and friends of Samberg Performance, I have about 100 tickets to the Continental Monterey Grand Prix! These are Courtesy of Melissa Kangas, the GM of Michael Stead Cadillac, Walnut Creek. If your interested in going please message me on this forum with your shipping address. 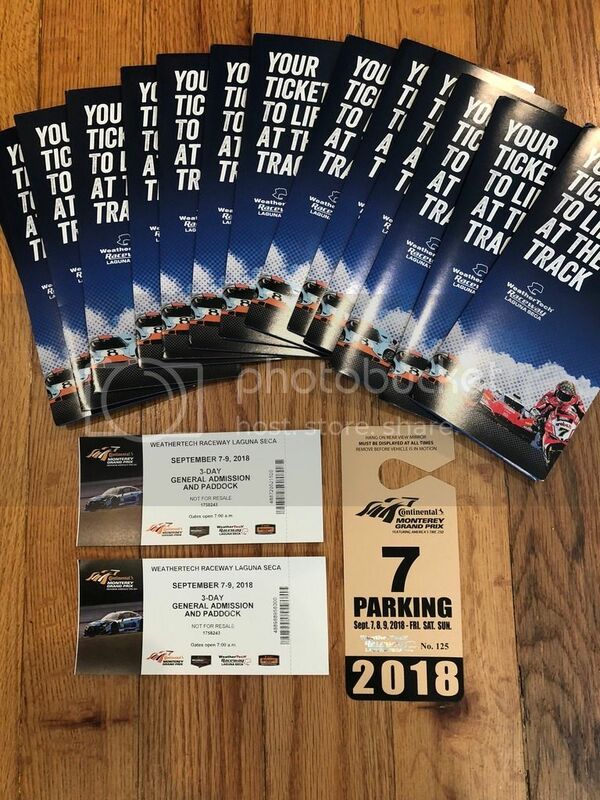 One packet per address includes: two 3 day tickets for September 7-9, 2018 and a 3-day parking pass for one car. That's awesome! Wish I was out that way! Thanks Justin, that's a great gesture. Unfortunately, I'm on the wrong end of the country.